to help you protect your investment, K&H Pools provides the quality and construction of a gunite pool at an affordable price. 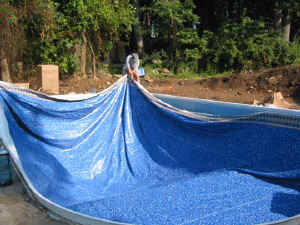 Our vinyl-lined concrete swimming pools come in many sizes and in many shapes that are customized to fit your yard. We welcome the opportunity to discuss with you how we can create the swimming pool of your dreams that is within your budget. Feel free to contact us or call us at 781-245-1518 to make an appointment. We welcome the opportunity to discuss with you how we can create the swimming pool of your dreams that is within your budget. Learn about our installation process. Let K&H Pools help you select pool decking that coordinates with your home and enhances the beauty of your swimming pool. 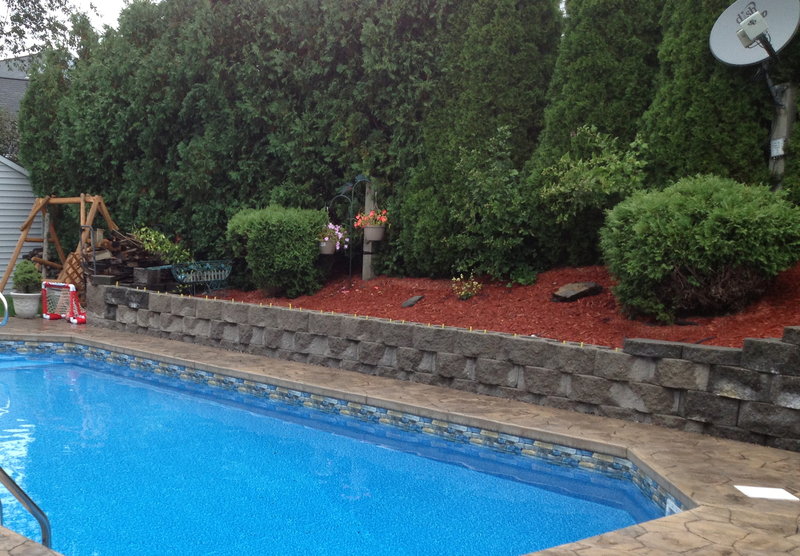 Short, tall, decorative, rustic — let K&H Pools beautify your landscaping with your choice of retaining walls. The pleasures and therapeutic value of soaking in hot swirling water are available day or night, all year round, in your own personal spa. Learn more. "Our vinyl-lined swimming pool is fantastic! Our family and friends will get years of enjoyment from it. We are now looking forward to having pool parties instead of just 'cookouts.' It makes an amazing centerpiece to our property that performs as well as it looks. Everyone who sees the swimming pool for the first time says the same thing, “Wow, that came out great!” We have to admit – they’re absolutely right. The addition of the swimming pool and patio has our back yard looking better than our front yard! Thanks again for our great pool and surrounding patio. 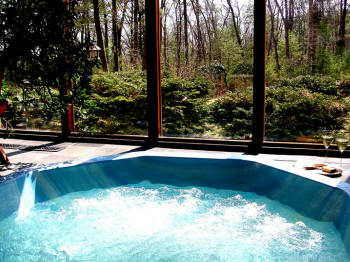 We’ll make sure all our friends know that K&H Pools installed it for us." We construct vinyl-lined concrete swimming pools which provide the quality and construction of a gunite pool at an affordable price. K&H Enterprise of Wakefield, Inc.